Official Web site Buy 3 CDs & get a free video + download songs here! 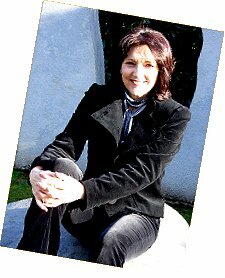 Welcome to the official site for Moira Kerr, the popular Scottish singer/song writer, after-dinner speaker and raconteuse. Here you will find out all about this versatile, international star whose performances have captivated audiences not just in Scotland but also in the rest of the UK, North America - and Russia. Just use the links on the left to access the other pages of this site. For a limited time only, order any three Moira Kerr CDs of your choice at the same time and the video "Moira Kerr Sings" (worth £12.99) will be sent to you for just £3 to cover post and packing. The video has eleven of Moira's melodic contributions to the "Where Eagles Fly" TV series which presented some of the most stunning scenery in the Highlands of Scotland. This scenic tour covers the Cairngorm mountains, Lochaber, Glencoe, Loch Lomond, Iona, Barra and many other locations. For details on how to obtain this special offer, see the CD and Video page on this site. You may well want to obtain Moira's songs on a CD in the usual plastic container with its printed inlay (signed by Moira herself - but only if you buy it through this site). In which case, just go to the CD's/Video page via the index on the left. But if you want a few specific tracks to download to your PC or transfer to your iPod or music player, there is now a representative selection of tracks from Moira's CD's which you can buy for just 79p (or the equivalent in your own currency). Just click on "Downloads" on the left to find out how! To keep up to date with what Moira is doing, including any new CD's she is publishing, just send an e-mail with "Newsletter" in the subject line to Moira and you will receive a note of her current news. Inspired by the famous Bass Rock with its huge population of Northern Gannets (scientific name is Sula Bassana) and the story of Jacobites imprisoned on the island who were envious of the freedom of the gannets, Moira wrote a song from his perspective. Following positive reactions at live performances, Moira has created a CD of the song which also contains another of her songs, this time about King Robert the Bruce's loss of his silver brooch of Lorne, at a battle near Bridge of Orchy. For all about this new CD, see Sula Bassana. There has been renewed interest recently in original, vinyl Long Playing (LP) recordings. Moira has a small selection of three of her original LPs and for a limited time only, these are available for sale at £25 each. See Long Playing Records page for further details. 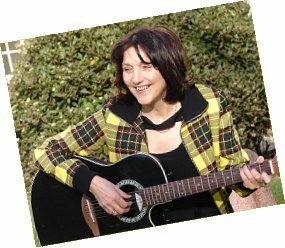 In addition to her many public concerts, Moira is always delighted to participate in smaller, private or corporate events, where her bubbly personality and sense of humour as well as her lyrical Scottish songs make her a big hit with a wide range of audiences. Talking and describing the songs in her programme, in such an easy-going manner, have also taught her how to communicate with audiences. This skill has led on to expanding into after-dinner speaking engagements, where she talks not just about her experiences as a singer/songwriter/entertainer but also on other Scottish-related themes. Being a golfer herself, Moira really gets into the swing of things at golf club functions - but is equally at ease as an after dinner speaker at corporate events or Rotary clubs, as well as performing at festivals and concerts, great and small. For bookings and more information, go to the Moira at YOUR Event page! Moira Kerr’s spot was the highlight of our Gleneagles Charity Dinner – so professional, well judged and fun. We would strongly recommend her blend of song and laughter to enhance any event.